This 10 seater cigar shaped dining table is constructed from two beaten polished brass curved legs. 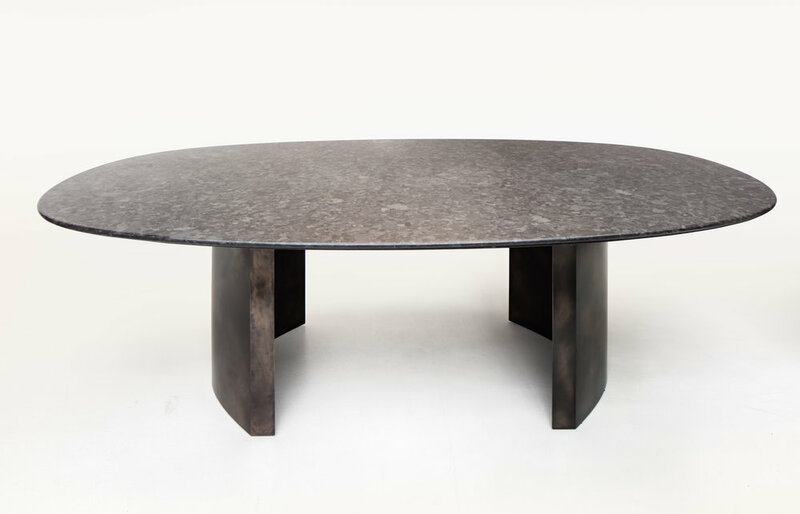 The honed granite top is finished with a sleek shark nose edge to complement the simple curvy base. The materials were chosen for maximum durability.